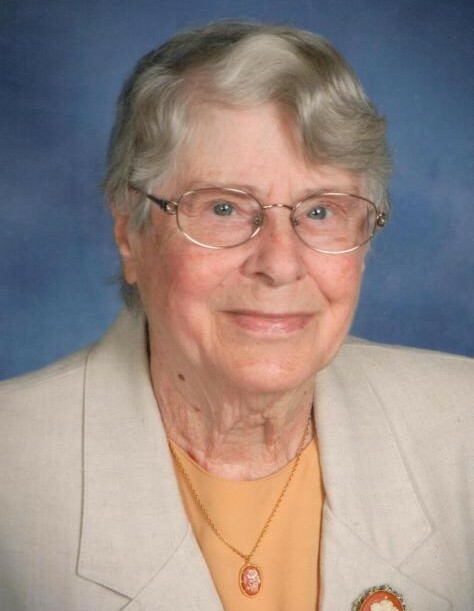 Obituary for Elsie R. Proper Anthony | Hile-Best Funeral Home, Inc.
Elsie R. (Kuhls) Proper Anthony, age 88, of Seneca, went Home to be with the Lord at 12:30 a.m. on Saturday, April 6, 2019 at Oakwood Heights in Oil City. She was born October 24, 1930 in Oil City to the late Fred and Florence (Nelson) Kuhls. When she was only fifteen years old, she married Oliver “Twisty” Proper, a four-time wounded Army Sergeant that was twelve years her senior. At sixteen years old, she and her husband adopted two girls, ages 4 and 5. Elsie talked about how she used to attend the PTA meetings when she was only seventeen. Elsie was married twenty-three years, when Twisty died at age 50, and she was only thirty-eight. On February 5, 1971, she married Rev. Walter “Bud” Anthony, and he preceded her in death October 14, 2018. Together, they served the Lord for twenty-seven years at Mount Carmel Church in Sandycreek Township. Rev. Walter was an evangelist, and held several revival meetings in the area. Through the years, Elsie worked at Warren State Hospital as a psychiatric aide, at the American Greeting Card Co. in Reno, and for the Presbyterian Home in Oil City. She is survived by her two daughters, Lareeda “Rita” Nulph and her husband Ford of Oil City, and Joyce Botts and her husband Robert of Oil City; nine grandchildren, 26 great-grandchildren, and six great-great-grandchildren; and also six step-children, 12 step-grandchildren, and 11 step-great-grandchildren; and numerous nieces and nephews. She was preceded in death by her parents, her first and second husbands; two sisters, Helen Dehner and Ruth Gaddess; and a brother, Ralph Kuhls. A visitation will be held Tuesday (April 9th) from noon until 2 p.m. in the Hile-Best Funeral Home, 2781 Rte. 257 in Seneca, Cranberry Township, where the funeral service will follow at 2 p.m. Tuesday with Rev. Deborah Ackley-Killian, pastor of Heckathorn United Methodist Church, officiating. Private interment will follow in Lamey Cemetery, near Dempseytown. Memorial contributions may be made to Heckathorn United Methodist Church, 388 Tippery Road, Seneca PA 16346; or to a charity of one's choice.